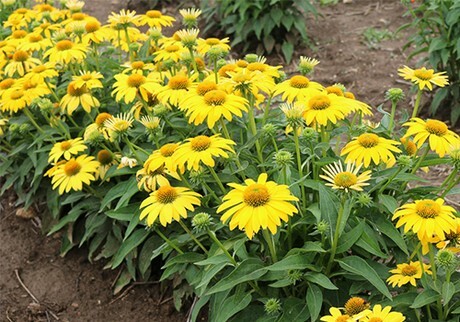 The life of a Sombrero Echinacea before it gets to a consumer’s garden is not an easy one. It is filled with trials and tests, much like that of young Hercules in Greek Mythology. In fact, Sombrero was compared to a body builder a few years ago. These perennial young plant growers are Sombrero specialists. They know what works, what doesn’t work, and what their customers want. Their feedback is what can boost a hopeful variety into the final round: Advanced grower trials. The young plant growers send meticulously grown liners to trial sites all over North America – the final and last leg of the journey!